This might seem like old news, but it still affects travel to Yosemite along CA Hwy 140. In April, 2006, a rock slide damaged Highway 140 east of Mariposa between the Yosemite Bug Hostel and Cedar Lodge. The road is once again open, but with a section of one-way, controlled traffic about 20 miles east of Mariposa with construction and maintenance through April 19, 2019. You can check the status of the highway online. Vehicles more than 28 feet long are not allowed and should use Highway 120 through Groveland or Highway 41 through Oakhurst. Besides being located along the most beautiful drive into Yosemite, the lodging along Highway 140 has the advantage of being on the Yosemite Area Transit (YARTS) bus line, giving you a way to get in and out of the park without having to drive your car and hassle with parking. It stops at most of the locations on our list. 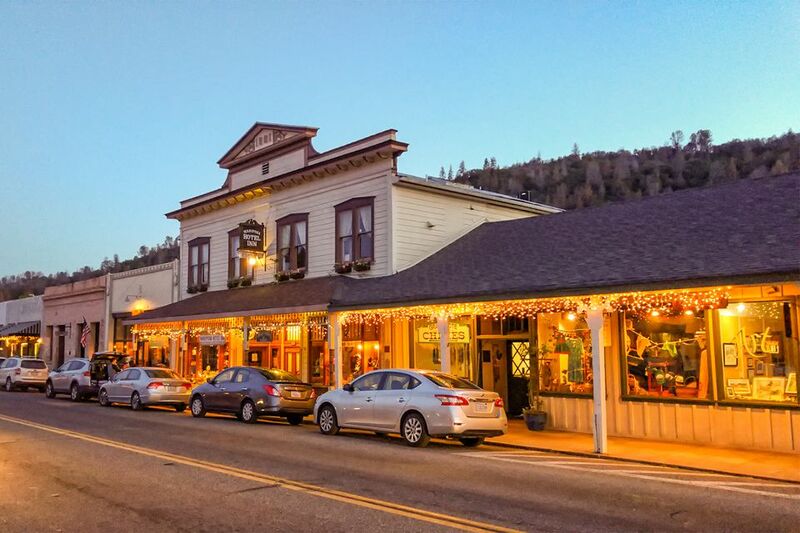 Over an hour's drive from the Yosemite entrance, Mariposa is too far away to be a practical place to stay on your Yosemite vacation, but it is served by YARTS. If you decide to stay there, our guide to finding a place to stay will help you choose your lodging. Cedar Lodge: They have 211 rooms, in several types, a swimming pool, and two restaurants and are just a few miles from the Yosemite entrance. Compare prices and read guest reviews at Tripadvisor. KOA Midpines: One of your most economical options, this KOA has Kamping Lodges that sleep 4-6 people and have kitchens but shared restroom and shower facilities. Bring sleeping bags or bed linens. Yosemite Blue Butterfly Inn: Geared toward adults, with five suites. Yosemite Bug: With rooms, tent cabins and dormitory-style accommodations, Yosemite Bug is a rustic-style resort. Read guest reviews and compare prices on Yosemite Bug at Tripadvisor. Yosemite View Lodge: This sprawling, motel-style place has 279 rooms and is the closest property to the park. It has two swimming pools and some rooms face the Merced River. Compare prices and read guest reviews of it at Tripadvisor. Our favorite place to stay on Highway 140 is Yosemite Resort Homes, a cluster of lovely vacation rentals that are one of the area's best-kept secrets. Indian Flat Campground: 25 RV sites with hookups, some with sewer, 25 tent sites. They also have two cabins with kitchenettes, private bath and cable TV. Guests can use the outdoor pool at the lodge next door. KOA Midpines: 28 full hook-up sites (18 pull-thrus),21 water/electric sites; 26 tent sites.